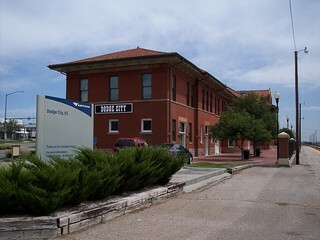 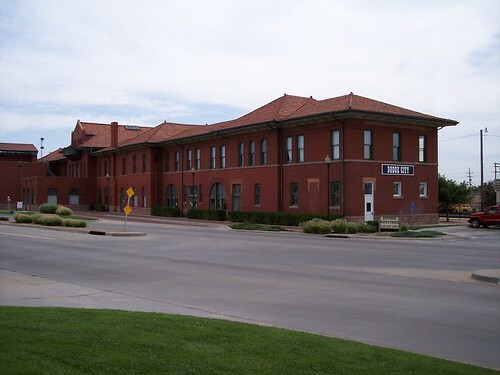 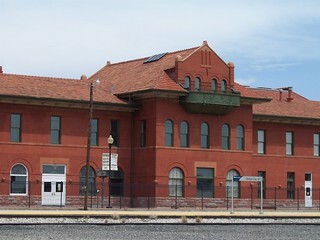 The large two-story station building and former hotel in Dodge City. 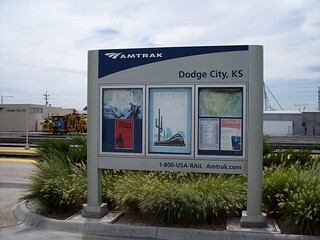 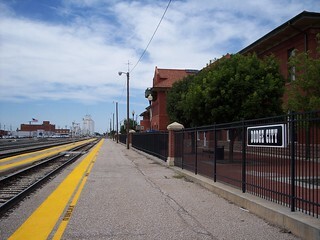 The platform at the Dodge City station. 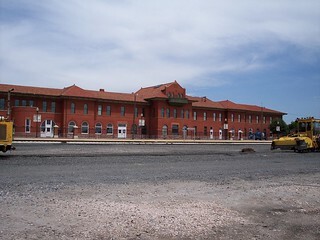 A look at the station from across the tracks. 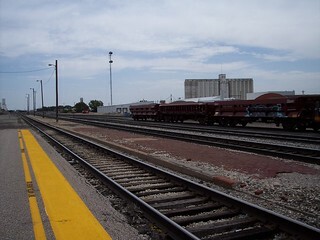 An old section of brick platform at the station. 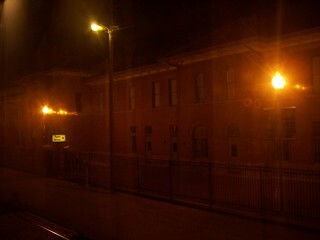 A nighttime look at the Dodge City station from the Southwest Chief.